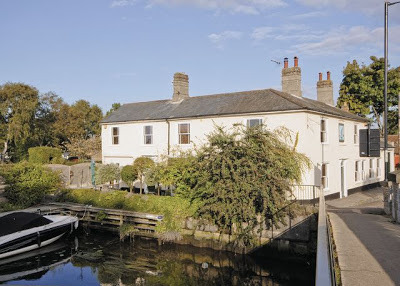 The coroner's jury at Beccles last night returned a verdict of 'Wilful murder' against James Flowers, publican, of Beccles, whose wife was found dead in the tap-room. The medical evidence showed that many of the woman's ribs were broken, probably by some person kneeling on her chest. The deceased was addicted to drink. Mr Edward Bowles Crowfoot, surgeon, said he made an external examination of the body of the deceased (Sarah Ann Flowers) and also performed a post mortem examination. He found bruises on the arm, thigh, and face. On post mortem examination he found ten ribs had been broken on her left side, the fracture being continued in four of the lower ones. On the right side eight of the lower ribs were fractured, and he attributed these injuries to compression in the chest, perhaps by kneeling. Crowfoot attributed the cause of death to shock, consequent of the serious injury to the ribs, which could not have been merely from a fall. The anemic condition of the brain, the pale and healthy appearance of the lungs, and the emptiness of the right side of the heart, all pointed to sudden death. Death probably ensued very quickly after such injuries, especially considering the condition of the brain, and the commencing fatty change of the heart. Mr William Taylor McComb, assistant to Messrs Crowfoot, corroborated. At the magesterial inquiry Mr EB Crowfoot repeated the evidence he had given before the Coroner at Bccles, detailing the results of the external and post mortem examination he had made. He found the heart presented signs of fatty degeneration; the lungs were healthy; the liver was softer and more friable than it is in a state of health; the stomach, spleen and right kidney were healthy, but the left kidney was undergoing fatty degeneration. He found about 3ozs. of serous fluid in the arachnoid cavity of the brain, and the cortical surface of both hemispheres were covered with a layer of coagulated lymph. He was of the opinion that death was caused from shock consequent to the injuries to the ribs. In cross examination Crowfoot said he noticed no disarrangement of the clothes nor any appearance of a struggle. The fatty degeneration of the heart might have caused death, and it was very likely that the serous fluid on the brain might cause death, coupled with a fall. Deceased was a person perculiarly liable, from the condition of the brain, to a fit of serous apoplexy. All the injuries might have been caused by a fall, except the fractured ribs and the position in which the deceased lay when he saw her was quite consistent with the theory that she fell from a chair in a fit. It was proved that Sarah Ann Flowers was drunk shortly before she was found by Hannah Willingham (housekeeper to Alfred Francis, a neighbour) and that she (Flowers) was in the habit of getting drunk, and it was sought to be shown in defence that she fell down the step from the bar to the cellar, and so received the injuries to her ribs. While the medical man (Crowfoot) could not say this might not have been so, he was of the opinion that the injuries were the result of greater violence than a mere fall. Willingham believed that Sarah Ann Flowers died shortly after she put her on the chair, she having seen her head thrown back and her eyes and mouth wide open. There was no proof that the prisoner (James Nelson Flowers) had ever struck his wife, while his closing the house so early was explained as the result of his desire to prevent his wife being seen in a state of drunkeness. For a more detailed account of this trial I would strongly recommend to anybody interested, that you read the lengthy article (which spreads across two pages) in the Ipswich Journal of 13 November 1880, found at The British Newspaper Archive online. It makes for very compelling reading. The jury, after an absence from Court for five minutes, returned a verdict of NOT GUILTY, and the prisoner was discharged. 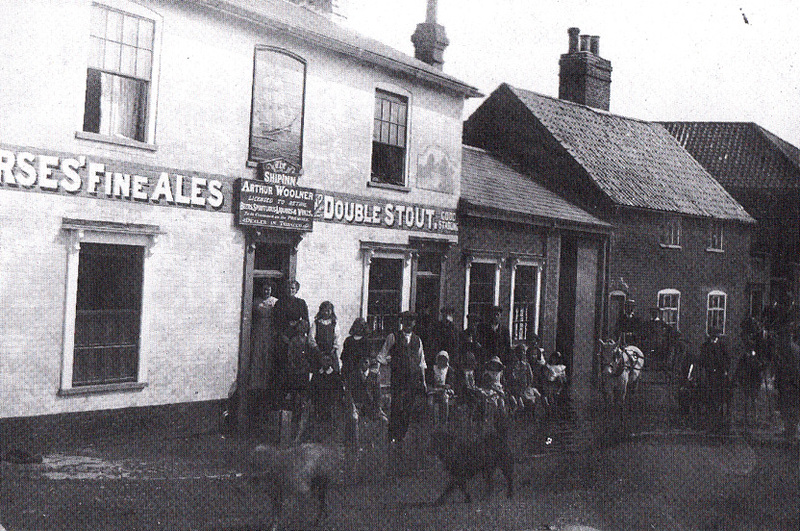 On 25 January 1881 the East Suffolk Gazette reported that the licence of the Ship Inn was transferred from James Flowers to William Bell. The census return of that same year shows James Flowers was a boarder (at his brother George's) in Swines Green, Beccles and he was a hay dealer by trade. James Flowers died in 1888, aged 60.